Downtown letterpress wedding invitations featuring clean lines and modern type in an understated design. These wedding invitations were designed with a modern, downtown couple in mind. The striking black borders and inline type were inspired by the clean lines of the architecture of the Bowery Hotel in NYC. This suite is understated and versatile and could work for an informal affair or a black tie wedding. The response card is a bit cheeky, and will surely elicit a smile from your guests. 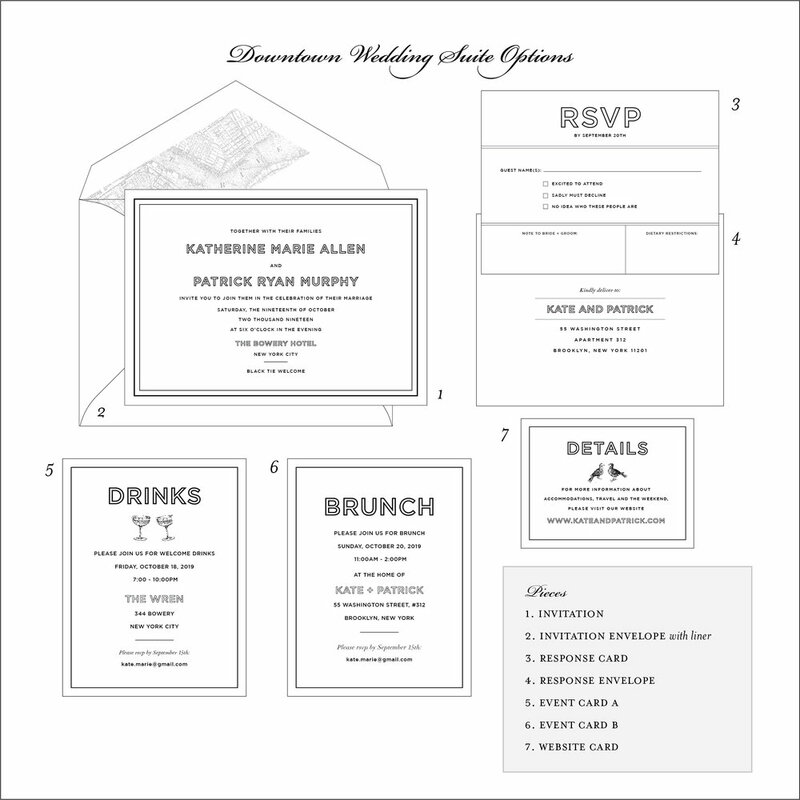 We love the simplicity of the black ink on this letterpress wedding set. This design would also look beautiful with gold foil painted edges.